We all deserve a Little treat, and our dogs are no exception! 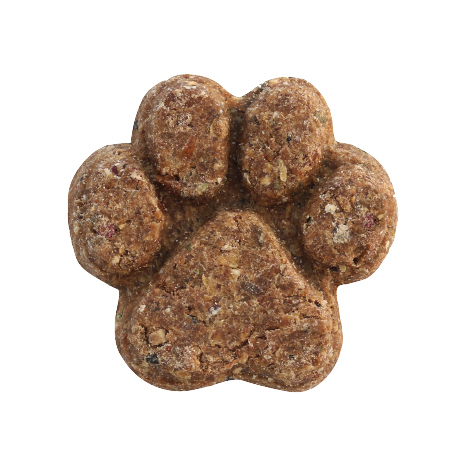 So please make room for the newest addition to the Little BigPaw range… our Oven Baked Free Run Turkey Treats for Dogs. Baked in our Little Bakery’s wood fire carbon neutral oven, nestled in the British Countryside, our Free Run Turkey treats are bursting with meat, fruits, veggies, conditioners and healthy herbs. They are also 100% Natural, Grain Free and Hypoallergenic. See below for more details! Packed with protein – With 50% lean Turkey meat, an easily digestible protein source. Turkey is low in fat and a great source of iron, zinc and potassium. Superfood fruits and veggies – Carrots are a fantastic anti-oxidant and full of natural sugars and nutrients. Cranberries aid urinary tract health and help to prevent bladder infections. It’s wonderful to find a new treat suitable for my Cocker who suffers with lots of allergies. I have to be very careful what I feed her. As these treats are hypoallergenic, it reassures me she won’t have any bad reactions. She get’s very excited when she spots the bag coming out of the cupboard. Bugsy loves these . The green lipped mussels are also really helpful for her stiff joints.